HPC Energy Services is an integrated oil and gas service company with a product base uniquely geared to support the constantly changing drilling environment. HPC emphasizes products which drive higher performance through innovative technologies, product design and engineering. 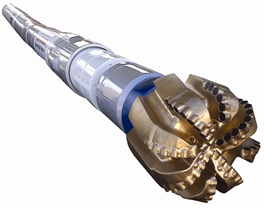 With a suite of integrated downhole tools for onshore drilling, HPC’s strategy is to provide differentiated products that increase efficiencies, improve safety and reduce environmental impact for customers. HPC is based in Calgary, Alberta with offices in Houston (TX), Midland (TX), and Boston (MA).